The Douglas library came into being on March 4, 1905, when several local prominent citizens formed a Douglas Library Association. 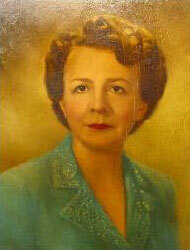 This group gathered, promoted, dreamed and planned, and hired Miss Maggie Ferguson as the first Librarian. The first library home was building on Center Street, but a short time later the library moved to a room in the County Courthouse. Three years later the Carnegie Foundation pledged a $10,000.00 grant for the construction of a library building, with the town of Douglas to provide for a building site and operating costs. Citizens of Douglas contributed money towards the purchase of its location at 300 Walnut Street. The new Carnegie Library building was officially accepted in formal ceremony on April 12, 1911. On September 8, 1966, the Carnegie building was razed to make way for the library's current home, the library being temporarily housed in the old Converse County Bank building on Second Street. Henry Thirkeldsen, architect, of Casper designed the new building, and construction was by E.E. Hawks Construction Company, also of Casper, with funds provided by a County bond issue and a matching federal funds (Library Services and Construction Act) grant. The Town of Douglas officially deeded three lots on which the library was to be built to the Library Board at the time and additional lots were purchased from the Widicks. On April 21, 1968, the dedication and formal opening of the current facility was held. The children's room was dedicated to Doris Shannon Garst, a former Douglas resident and internationally known author of children's literature. 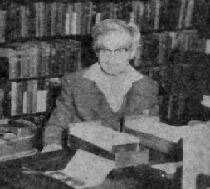 Having the "Western Americana" section of the library named for her likewise honored Laura Chambers, Head Librarian from 1935-1966. The library in Douglas is currently in the same location at 300 Walnut as it was when it was a Carnegie Library. In 1985, it celebrated its 80th Anniversary with an open house, special programs, the reprinting and sale of a book of local interest, Light in Darkness, and several other events throughout the year in commemoration of its many years of service to the community. In December 1993, the library in Douglas joined the Wyoming Libraries Database System (WYLD). This system automated circulation and technical services as well as opening up the resources of all WYLD member libraries in Wyoming to the citizens of the Douglas area. May 1995 the system was upgraded to a more user-friendly system that expanded system capabilities to offer opportunities for an online public access catalog, online databases and Internet access. In the fall of 1995, the Douglas library underwent extensive remodeling to prepare for the addition of PACs (public access catalogs). The building interior was recarpeted, repainted, and reorganized to accommodate the new technology. The exterior of the building and grounds underwent further renovations through 1996-1998 that included landscaping, building facade repairs, and sidewalk/drainage repairs. 2005 marked the 100th Anniversary of the Main Library at Douglas. A celebration was held on March 5, 2005, with Wyoming author C.J. Box as the guest speaker. The Converse County Library Foundation Board reprinted the book Light in Darkness and had an anniversary mug created featuring a drawing of the original Carnegie Library building. In March 2015, the Douglas library was moved to temporary quarters in the lower level of the Fort Reno building at the Wyoming State Fairgrounds. Demolition of the old Douglas library began in May 2015, and a new two-story building was constructed at the old building and parking lot site. The new two story building was designed by the Casper architectural firm of Hein|Bond, architect of record, and the Denver, Colorado firm of Humphries Poli Architects. Clark/Sullivan Construction was the general contractor for the project. The new Douglas library was completed and occupied in August 2016.